Natasha Anne Bedingfield is an English singer and songwriter. Bedingfield released her debut album, Unwritten, in 2004, which contained primarily up-tempo pop songs and was influenced by R&B music. It enjoyed international success with more than 2.3 million copies sold worldwide. Bedingfield received a Grammy Award nomination for Best Female Pop Vocal Performance for the title track "Unwritten", and at the 2005 and 2006 Brit Awards she was nominated for Best British Female Artist. Unwritten also produced her only UK number one, "These Words". "Gotta Get Thru This" is a song by British singer Daniel Bedingfield. It was released in November 2001 as the lead single from his debut studio album of the same name (2002). The track, along with some others, was recorded in Bedingfield's bedroom with his PC and a microphone, using the music software Reason. In 2004, Bedingfield won a BRIT Award for Best British Male Artist. He then moved to the Universal Music subsidiary label Polydor Records to release his second album, Second First Impression , which reached number 8 in the UK. The album sold poorly compared to his first offering, though it did include two UK Top 20 singles, "Nothing Hurts Like Love" (which reached number three) and "Wrap My Words Around You" (which peaked at number 12). The third and final single, "The Way", became his first to miss the top 40, reaching number 41. The album was also released in Singapore (featuring 'If You're Not The One' as a bonus track) but not the US. Second First Impression is the second studio album released by British singer-songwriter Daniel Bedingfield. Released in 2004, it peaked at number eight on the UK Albums Chart. The album title comes from the chorus of track 7 on the album, "Show Me the Real You", and also serves as a reference to this being Bedingfield's second album. 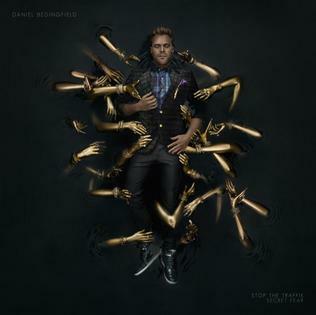 "Nothing Hurts Like Love" is the lead single from British singer Daniel Bedingfield's second studio album, Second First Impression. It peaked at #3 on the UK Singles Chart. Victoria Louise "Pixie" Lott is an English singer, songwriter, and actress. Her debut single, "Mama Do ", was released in June 2009 and went straight to number one in the UK Singles Chart. Her second single, "Boys and Girls", also topped the UK Singles Chart in September 2009. Stop the Traffik – Secret Fear is an EP released by English-New Zealand singer Daniel Bedingfield in 2012. It was re-released in 2013 as a Special Edition with several track changes. "Rocks Off" was released as a single accompanied by "It's Not Me It's You". "Don't Write Me Off" was also released as a single, accompanied by "Secret Fear". Romanian band Dirty Shirt included a cover of "Rocks Off" on their album 'Freak Show'. The first series of the New Zealand television reality music competition The X Factor premiered on TV3 on 21 April 2013 and ended on 22 July 2013. The show was open to singers aged 14 and over. The contestants were split into the show's four traditional categories: Boys, Girls, Over 25s and Groups. Stan Walker is an Australian-New Zealand recording artist, actor, and television personality. In 2009, Walker was the winner of the seventh and last season of Australian Idol. He subsequently signed a recording contract with Sony Music Australia. In December 2009, Walker released his debut studio album, Introducing Stan Walker, which included the hit single, "Black Box". The album debuted at number three on the Australian ARIA Albums Chart and was certified platinum by the Australian Recording Industry Association (ARIA). It also appeared on the New Zealand Albums Chart at number two and was certified triple platinum by the Recording Industry Association of New Zealand (RIANZ). Currently Bedingfield spends his time writing for a number of artists. He co-wrote "I Wanna Feel" by SecondCity, which debuted number 1 on the UK Singles Chart on 1 June 2014 and stayed in the top 20 for the next six weeks. The song was Bedingfield's fourth number 1 in the UK. Bedingfield spent time working in the studio with K-pop group Spica,  including co-producing their first English language single "I Did It". He was also the group's vocal director. In 2015 he co-wrote the song "Testify" which was included on The X Factor UK 2014 winner Ben Haenow's self-titled debut studio album. His parents are leadership trainers and mentors in the voluntary sector and business world. His mother, Molly Bedingfield, is founder and CEO of Global Angels, for which Daniel is doing fundraising work. Bedingfield also helped to launch the Stop the Traffik coalition against modern day slavery. Melanie Ruth Blatt is an English singer-songwriter and actress. She rose to fame in 1997 as a member of the girl group All Saints. The group have gained five number one singles, two multi-platinum albums, two BRIT Awards and have sold over 10 million records worldwide making them one of the best-selling girl groups of all time, and the second best-selling girl group in the UK. "These Words" is a song by Natasha Bedingfield. It was written by Steve Kipner, Andrew Frampton, Wayne Wilkins and Bedingfield for her 2004 debut album, Unwritten. The song is the album's opening track, and was released as its second single. "These Words" details Bedingfield's lack of inspiration and her reaction to pressure from her record label to produce a hit song. 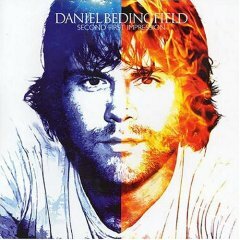 Gotta Get Thru This is the debut studio album by English-New Zealand singer Daniel Bedingfield. The album was released on 26 August 2002 by Polydor Records. It reached number two on the UK Albums Chart, and is certified five times platinum, having sold over 1.63 million copies. Worldwide, the album has sold over 4 million copies. "If You're Not the One" is a song by English singer Daniel Bedingfield. It was released on 25 November 2002 as the third single from his debut studio album Gotta Get Thru This (2002). "James Dean " is a song by British singer Daniel Bedingfield. It was released in August 2002 as the second single from his debut studio album, Gotta Get thru This. The track follows the same "garage" style as his first single, "Gotta Get Thru This". It, like "Gotta Get Thru This", became a hit, reaching number four on the UK Singles Chart, making it his second top 10 hit. It cracked the top 20 in Australia, peaking at number 19. The song name checks Freddie Mercury, Brad Pitt, Sly Stone and Daddy Warbucks. "Never Gonna Leave Your Side" is the fifth single of Daniel Bedingfield's first album, Gotta Get thru This. It became his third number one song on the UK Singles Chart in July 2003. It also peaked at No. 11 in Ireland and No. 13 in New Zealand. "The Way" is a song recorded by English singer Daniel Bedingfield. It was released on 23 May 2005 as the third and final single from his second studio album, Second First Impression (2004). It was written by Bedingfield and produced by Bedingfield and Jack Puig. "Every Little Thing" is a song written and performed by English Christian rock band Delirious?. The song was the second radio single released to the German market from the band's 2003 studio album, World Service. 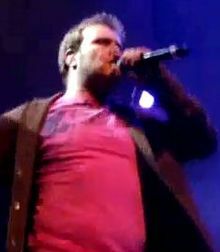 The song features guest backing vocals by Daniel Bedingfield. The single peaked at #2 on the Südwestrundfunk, which is the southwest region broadcasting's singles chart. John William Peter Newman is an English musician, singer, songwriter and record producer. He is best known for the track "Love Me Again" which peaked at number one on the UK Singles Chart in July 2013 as well as co-writing and singing on Rudimental's 2012 singles "Feel the Love" and "Not Giving In", which peaked at number one and number 14 on the chart, respectively. In 2014, he featured in the Calvin Harris single "Blame" which topped the UK charts. 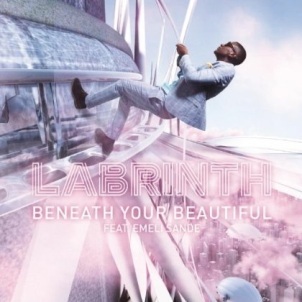 "Beneath Your Beautiful" is a song by British musicians Labrinth and Emeli Sandé. Written by Labrinth, Mike Posner and Sandé, it was released as the sixth single from Labrinth's debut album, Electronic Earth, on 18 October 2012. The track peaked at number one on the UK Singles Chart, selling 108,000 copies off the back of a particularly well-revered performance on The X Factor, becoming Labrinth's first number one single as a solo artist. Additionally, it became his first top 40 hit on the US Billboard Hot 100, where it peaked at number 34. Jackie Thomas is a New Zealand singer who won the first New Zealand season of The X Factor in 2013. Competing in the Girls category, she was mentored in the series by Daniel Bedingfield. Her winner's single "It's Worth It" was released on 22 July 2013 and debuted at #1 on the Official New Zealand Music Chart and was certified Gold in its first week, reaching Platinum by its third week. Benjamin "Benny" Tipene is a New Zealand singer-songwriter and musician. 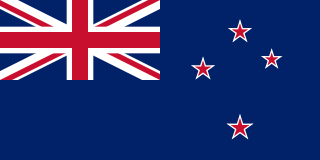 He is known for his appearance on the first New Zealand series of The X Factor where he finished in third place. Competing in the Boys category, he was mentored by Ruby Frost. His debut single "Walking on Water" was released on 29 July 2013 and debuted at number two on the Official New Zealand Music Chart and was certified platinum. "Something I Need" is a song recorded by American pop rock band OneRepublic. It was released on August 25, 2013 through Mosley Music and Interscope Records as the fourth single from their third studio album, Native (2013). The song was written and produced by Ryan Tedder and Benny Blanco. It peaked at number six in Australia, where it has been certified 3× Platinum, and number four in New Zealand, where it has been certified Gold. ↑ "Daniel Bedingfield: An Overnight Hit". ↑ Vang, Jes (30 April 2012). "Daniel Bedingfield – 100% independent". TC Helicon. Archived from the original on 5 March 2014. Retrieved 28 February 2014. ↑ Hunkin, Joanna (18 April 2007). "Bedingfield to air his gritty new voice in first concert here". The New Zealand Herald . Retrieved 27 September 2011. ↑ "Kirsten Morrell – Ultraviolet". Discogs. Retrieved 2015-10-15. ↑ "Daniel Bedingfield – eMusic". eMusic. Archived from the original on 30 December 2011. Retrieved 2011-12-31. ↑ "Daniel Bedingfield announced as X Factor NZ judge". 3 News. Archived from the original on 10 February 2013. Retrieved 21 December 2012. ↑ "Pop star joins big brother on X Factor". 7 May 2013. New Zealand Herald. 7 May 2013. Retrieved 8 May 2013. ↑ "Jackie Thomas wins X Factor NZ". 3 News. Archived from the original on 18 August 2013. Retrieved 22 July 2013. ↑ "SecondCity enters at Number 1 with I wanna feel". Official Charts Company. Retrieved 2014-08-03. ↑ "keisukemoonlight on Twitter". Twitter. Retrieved 2015-10-15. ↑ Porteous, Jacob (21 January 2016). "Casting Announced For Jeff Wayne's Musical Phenomenon The War Of The Worlds With Liam Neeson In 3D Hologram". London Theatre Direct. Retrieved 24 January 2016. ↑ "Daniel Bedingfield". Globalangels.org. Archived from the original on 15 September 2014. Retrieved 2011-12-31. ↑ "Complete list of Grammy nominees; ceremony set for Feb. 23". SFGate. 8 January 2003. Retrieved 28 May 2013. ↑ "THE BRITS 2004". Brit Awards Ltd. Retrieved 28 May 2013. 1 2 "Daniel Bedingfield nominated for Brit Awards". NZ Herald. 13 January 2004. Retrieved 28 May 2013. 1 2 "Daniel Bedingfield's "Secret Fear" Takes Home 4th Festival Prize". The Spellbound Group. 13 June 2013. Archived from the original on 14 August 2014. Retrieved 3 August 2014. "Never Gonna Leave Your Side"